Introduced in 1989, Snore Guard is a stop snoring mouthpiece that offers impressive results. Considering the function, benefits and accessibility of this oral device is a great way to determine if the product is right for your snoring problem. The oral apparatus fits in the mouth much like a mouthpiece worn by athletes. The design is quite simple, and it is made of thermoplastic. The simple design and sterile thermoplastic composition have many uses in an effective snoring solution. Using the device is simple; patients wear the device while they sleep. The remarkably simple device is easy to maintain. Wearers use a toothbrush and toothpaste to brush the guard clean. The manufacturer recommends putting the apparatus in the container provided. It is important to avoid soaking the device in mouthwash because the substance can soak into the plastic, leading to irritated gum tissue. 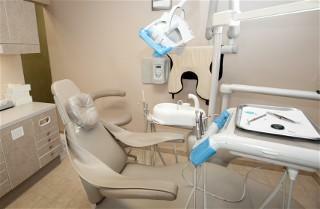 The company will send a list of dentists that offer the product in the nearest locations. The dentist brings a blank guard to a boil in a water bath. The device is boiled for one minute. Once the apparatus is transparent and floating on the water, it is removed and allowed to cool for 20 to 30 seconds. While the plastic is warm and soft, the dentist presses it into the upper teeth. The patient bites down naturally, allowing the device to take form for about 30 seconds. The dentist trims excess material from the snore mouthpiece for a perfect fit. A glaring benefit of the snoring mouthpiece is its effectiveness. The 1995 publication Oral Applications for the Treatment of Snoring and Obstructive Sleep states that 99 percent of users experienced significant relief from snoring and 50 percent experienced complete elimination of snoring.Patients who snore less experience fewer sleep disturbances throughout the night, leading to a better night's rest. Deep, restful sleep is crucial to proper functioning throughout the day. People with some conditions may or may not benefit from the snore mouthpiece. Those experiencing Temporomandibular Joint Dysfunction (TMJ) dysfunction need to have an evaluation. In many cases, the device places no extra strain because the placement of the device is in the center of the mouth. The product has a design that is similar to ones created to correct TMJ problems. A 1996 study comparing Snore Guard to nasal Continuous Positive Airway Pressure found that nearly half of the sleep apnea patients in the study found relief from sleep apnea using the mouthpiece and six out of seven preferred the guard to a CPAP device. People who wear dentures do not benefit from the device. The fitting process requires upper teeth in order for proper fit. The product also relies on the bottom teeth for proper mouth positioning during sleep. This snore mouthpiece is inexpensive compared to other medical treatments for snoring. The manufacturer suggests consulting a dentist for a price quote for each individual fitting. Using a device like Snore Guard in addition to other ways to stop snoring can be a viable approach to get the relief from snoring that you seek. The effort it takes to find the right fit can pay off in better rest and better overall health.